St. Paul, MN–It is no secret in the world of small business ownership that veterans make great franchisees. Those with military experience understand the benefit of following a well-planned system, which is how franchising works and why it is such a successful business model. A franchisee, as compared to someone starting their own business, can take advantage of this well-planned system by following the franchisor’s directions. For example, having name-brand recognition of the product or service is crucial, which is usually part of a franchise business plan and is created with robust advertising. Corporate support allows the new owner to bypass many of the missteps that waste time and money. Some franchise businesses, such as NOVUS, allow the franchisee to scale the business to a manageable size and cost – start out as an owner/operator and add employees as the business grows. A manual provides step-by-step instructions for nearly everything from selecting the business site, to sourcing materials, to finding clients. All the business needs to succeed is someone with leadership skills, a strong work ethic and the ability to follow the plan. Military training provides this, making franchising and veterans a great partnership. According to a recent survey by the International Franchise Association, 1 in 7 franchises in the US are owned by veterans (view the CNBC article here). A good work/life balance is another benefit provided by NOVUS franchise ownership.This, too, is an important benefit to veterans who are returning from active service and interested in establishing a new career while still having the time to build strong family relationships. 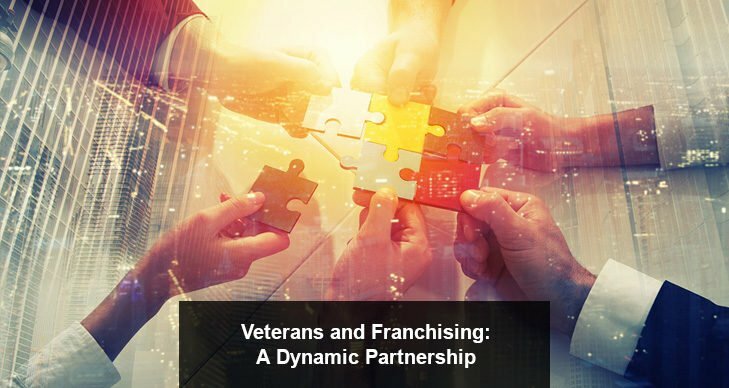 Finally, veterans will appreciate the NOVUS training program for new franchisees, which is the most comprehensive and hands-on in the industry. A new franchisee will spend a week at the NOVUS offices learning how to run their auto glass business. Next, there is a two-week training at one of the regional centers, where NOVUS, the pioneer of the auto glass replacement industry, teaches franchisees their high quality, fully guaranteed windshield and auto glass replacement processes. Support for the new franchisee continues with an on-site visit from the regional manager who will help kick off the new NOVUS business, make sales calls with the franchisee, and ensure every system is set up and running as it should. Working as a team is a fundamental aspect of military life, and a NOVUS franchisee will receive support from two important groups. The first is the corporate staff, who are always available to answer questions and provide help as needed. Equally important are the franchisee peers – who support, mentor and encourage each other. The NOVUS opportunity is open to veterans or to anyone who wants to own a successful business in a high-demand industry. An international leader in auto glass repair, NOVUS is ready to help you reach your business ownership goals. Learn more at www.novusfranchising.com, or call 800-944-6811 to get started.